One more quick little post. This first card will be entered into the Challenges at Simon Says Monday, Flower Power and Altenew. I guess I have been in a water coloring mood. This card uses the Altenew stamp sets, Painted Poppy and Beautiful Day. Black Embossing Powder. I also used strips of corresponding card stock to bring out the colors of the Inspiration Photo. I have made so many flat cards.....who knew?!?! Penny Black, Black And White Plus One. My shine is my sentiment and all of that warm happy sunshine! I used the Gina K Designs stamp sets; All About You and Happy Spring. Created my background panel by stamping in Raven Black ink and coloring images with Copic Markers. Layered on to Black and Yellow card stock and then to my Black card base. My sentiment was heat embossed onto a strip of Vellum using Black Embossing Powder. Inside I stamped my sweet little birdie. Two super creations, love the Poppies and the striking colours of the second. Many thanks for joining in with our 'Black and White plus one' theme at Penny Black and More challenge. Love your sweet cards Donna! Your water coloring is fantastic. The purple poppies stole my heart! Well, so did that happy little bird singing so happily on the inside of that card. What a nice little surprise! Happy day, my friend! More fabulous cards, my goodness you have been busy busy...fun sunshine card (send some my way please) and another beautiful floral!! Hope you are feeling better!! Sooooooooo pretty and I just love that first poppy card ... the colors and design are fabulous! You are such an inspiration. Wonderful & Happy creations ... thanks! Two more really fab cards. Love the dreamy look of the first one and the bright sun shine of the second one. I don't know how you do it. Must be the creator with in you! Yep, I am sure of that. Two very beautiful cards with awesome designs. I really love the poppies. Love, love, LOVE that poppy. Your colors are amazing. Such an artsy look, one of my favorites. And your other card is just so cheery. All that bright sunshine, and the black to compliment the yellow. Awesome creations, my dear! that flower is beautiful, I love the colors you used in it and love the sentiment on both, the pretty suns are so sweet! Lovely cards and awesome colors! 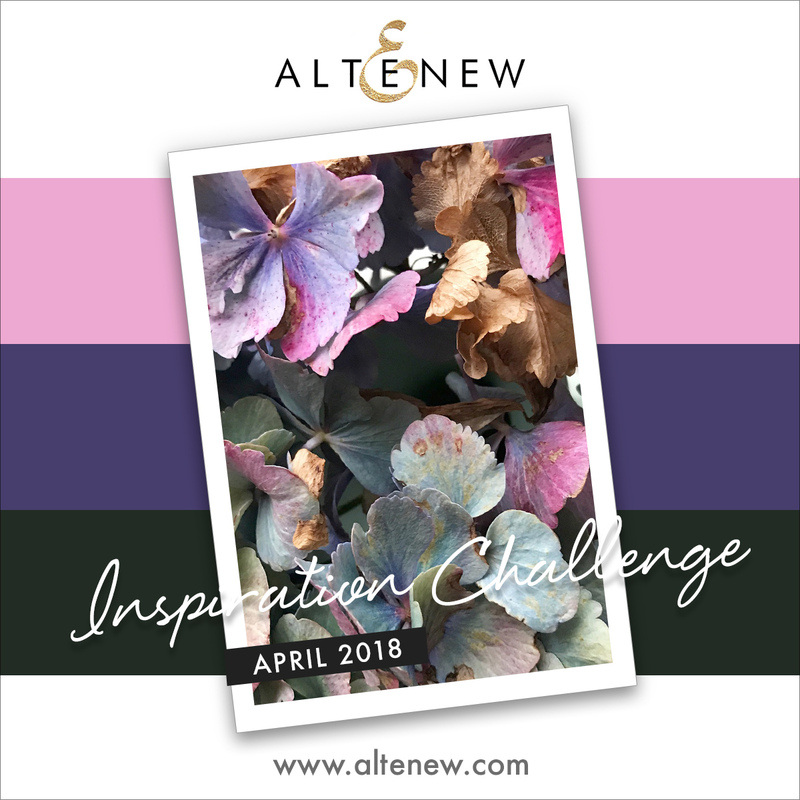 So glad you could play along with us in this month's Inspiration Challenge! Two lovely cards, the poppy looks beautiful and the sunshine one is just perfect for this months challenge.